I‘m going bald! My hairline is receding! I have tried every hair tonic, miracle cure and method. Because it is your own hair that is being transplanted, it will not look any different from the rest of your existing hair. Your new hair will grow in over time, covering the bald areas gradually. Hair implants are painless, and are done in a friendly clinic by a trained surgeon, and there are no incisions or sutures, so the procedure will not leave a mark. Do you want to check what our clinic looks like before the procedure? Meet our staff and get a free consultation and assessment about your hair. Let us convince you! We will make you look and feel younger! Hair transplants are a routine procedure, but since the scalp is such a tender and sensitive area, it is best to go with the experts who really know what they are doing. Our clinic uses the FUE2 Safe System, and we employ a highly skilled and trained staff. Our surgeons have transplanted over 1.5 million hair follicles on average, and have more than 100 satisfied customers during their 3 years of practice. Their specialty is defining the hairline, and giving a natural appearance with evenly distributed hair transplants. Our specialists is a plastic surgeon and general practitioner, who has more than 15 years of experience in Hungarian and German clinics. By transplanting some 2000 individual strands of hair, the signs of a receding hairline can be entirely reversed, and the old hairline restored. 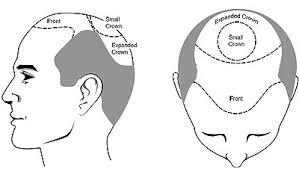 If you have problem with baldness, hair implants might be your best bet to solve this problem permanently. Even though this method is most effective it can also end up costing you a lot of money in the short term. Usually people will end up paying somewhere from £2500 to £7000 for a hair transplant. This price will vary depending on how much baldness you need to cover with it. If it’s a large bald area, the price for the hair replacement will grow significantly. When we’re talking about products to treat hair loss you have a number of other choices besides hair transplantation. One example of hair treatment product is Hairisol which is cheaper than hair implants over the short period of time but in the long run you will spend thousands of pounds on it. In order to get a hair gain and to keep it going you need to use it permanently, so that’s something that can get expensive and frustrating. When it comes to the cure for baldness, the answer lies in your pockets and how deep they are. You need to decide to spend less money in the short run but to keep paying for a long period of time, or if you want to pay more now and be without worries after that. Hair loss surgery is the most effective and the fastest option. Hair transplantation should not cost a fortune if you opt out for a hair trip to Budapest, Hungary. Treatment prices can be as low as €0.79 per hair in Budapest. Pretty impressive, isn’t it? If you like calculations in hair grafts that makes €1.73 per graft. Get a free assessment on your hair and options with a treatment plan during a free consultation in Belfast and Dublin! Even though it is more expensive, it is easier and cheaper to keep the effects going for a longer period of time. In the short run, you might spend less on hair loss products, but with real baldness, it will not be as effective as the hair loss surgery. If you want to slow down the loss of the hair, you can use drugs like Minoxidil or Finasteride, both of which are approved by the FDA and helps with hair surgery after care. Once your new hairline design is achieved you may want to know more about hair transplant aftercare options.